More than nine million science, technology, engineering, and math (STEM) jobs will be up for grabs by 2022. For each bachelor’s degree holder alone, there are an estimated 2.5 entry-level jobs available; and with the average salary for those jobs 26% higher than other fields, the demand, and pay-off, couldn’t be more clear. Northeastern’s Lowell Institute School was founded to help meet that demand. The Lowell Institute is the first school of its kind in the country to deliver science, technology, and engineering bachelor’s degree completion programs to students with two years of college credit or an associate degree. Of those students, a key goal is to support those from underserved populations to help them take the next step in their career. Students can earn their bachelor’s degree on a schedule that works for them—whether on-campus, online, or a combination of the two. Industry professionals help shape each program to ensure it meets the demands of the job market, as well as help teach the courses, providing students with the opportunity to tackle real-world issues in a classroom setting. For a full list of programs, visit the Lowell Institute School website. Dedicated academic advisors work with individual students throughout their studies—and beyond—to help them achieve their personal and professional goals. Rather than weed students out of STEM courses, our ultimate goal is to do everything we can to ensure students’ success. Whether it’s helping students find the right experiential learning opportunities to develop the first-hand experience they need or connecting them with the proper tutoring and academic advising resources, students receive support at every stage of their education. To learn more, visit the Lowell Institute School website. 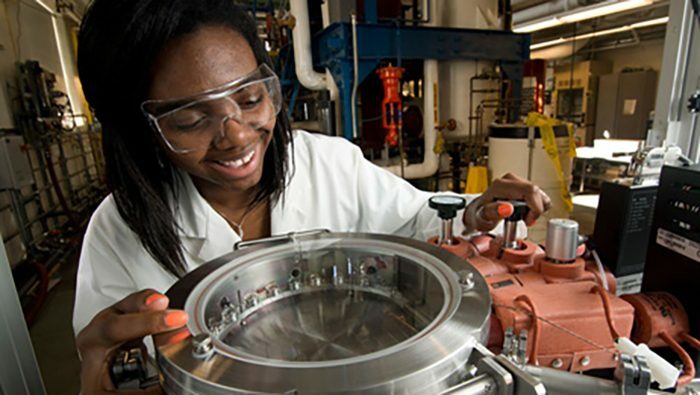 There are 2.5 entry-level jobs available for every bachelor's graduate in STEM fields. The median salary for health services managers is $94,500 according to BLS, 2015.